Disability insurance can provide peace of mind in case of an accident or sickness that makes you incapable of working. New York Life’s portfolio of products includes Long Term Disability and Disability Income insurance for key business persons. Group disability products are also available. Although disability insurance benefits are meant to replace lost income, unfortunately insurance companies do not always pay benefits as they should with legitimate claims. If you have an individual policy or are a government employee and your New York Life long term disability claim has been denied or cut-off, you may not have to file an administrative appeal with the insurance company to enforce your rights. You should consult with an experienced disability attorney to determine your legal rights. If you have a group plan New York Life Insurance Company disability policy, your policy is likely governed by ERISA. ERISA does have strict appeal procedures and deadlines. ERISA requires an internal or administrative appeal if your benefits are terminated or denied. The time limit to file an appeal is very limited, usually only 180 days. Under some policies, you may have a second, voluntary appeal. Lump-sum buyout or settlement of a New York Life long-term disability insurance policy. 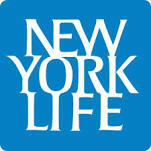 Call New York Life disability attorney Nick A. Ortiz at 850-308-7833 for a free case evaluation.